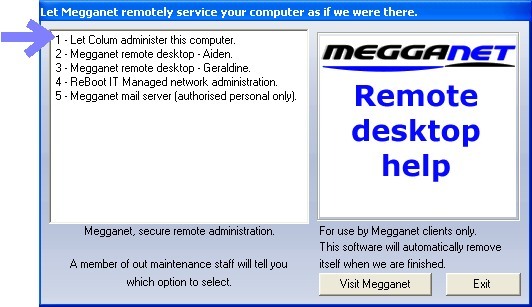 HelpDesk allows our engineer to remotely assist with any difficulties you may be experiencing with your PC. This small utility will completely remove itself from your PC when we log off. While we are remotely accessing your computer, you will be able to see everything we do, so no privacy worries. Step 1 Click the rotating helpdesk icon above to download the HelpDesk software. 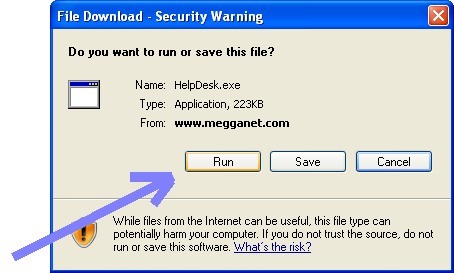 Step 2 Click the Run button as shown aboveto allow the download to continue (this is normal). Step 3 Click the next Run button to allow the program to be run on your computer. Step 4 Double click on one of the options on the left hand side. Select the top option unless otherwise advised.